Half of knowledge is knowing who to ask….. When Diageo was formed after acquiring the Seagram brands, they established a wholesaler network in the US by approaching all the top wine and spirit houses. Almost every large house was invited to present their RFP. At the time, I was the Director of Malts for Glazer’s, a Brown Forman house. Republic had most of the Diageo brands. I was asked to submit a small part on the beer model… a mere three slides. I sat in on several of the RFP meetings discussing various strategies and long-term planning. Glazer’s felt that with Diageo’s strength, and long-term marketing support, they would be a better partner then Brown Forman for Glazer’s future. B schools that have studied various industries, including beer, and have concluded that a beer distributor business model is the least likely to fail. Franchise protection aside, consider the following: beer distributors have almost no receivables, (it’s all cash); they enjoy exclusive territories by contract (no dueling and no Subway on every corner); the law provides three tier protection; national, regional and local advertising and media support are provided by major suppliers; chain programing is available for both on and off premise accounts; distributors have growing margins; no franchise fees; training; and, of course, political presences nationally and locally. So then the question becomes, just how much value does franchise protection bring to a beer distributor? All things being equal, would you, if offered, take a AB or MC house under a time bound contract without franchise protection that is based upon certain sales and execution goals? Even if it was for only five years, I think most people would do so. Wine and Spirit people do. Longer contracts for less established and supported brands might make sense to do so also. Franchise protection laws play a huge part of current value of beer houses. How the laws will plays out in the future is uncertain, but as to whether or not it’s 50% of beer houses value is based on knowing whom to ask. About a two hour drive from Frankfurt, Germany, one can find themselves in a region that has some of the softest water available used to brew pilsners. And three of the world’s best are from here: Warsteiner, Veltins, and Krombacher. These breweries are all located close to each other, in fact, it is only about 20 miles from Warstein to Meschede (Veltins),and not much further to Krombach. Warsteiner was named after the town it is from, Warstein; as is Krombacher, after the town of Krombach. German beers are named after the town in which the brewery is located, or after the family that created it, such as Veltins. As we all know, this was standard with all the German brewers who came to the US in the mid 1800’s: Adolph Coors, Frederick Miller, Frederick Pabst, Joseph Schlitz and, of course, Adolphus Busch, to name a few. Then breweries named their beers after themselves: Coors, Miller, Schlitz, Pabst and Budweiser (Busch). As time went on they came with other beers named after someone, “Herman Joseph,” and “George Killian'” along with Leinenkugel named after Jacob Leinenkugel. The breweries used their founders as part of their marketing by emphasizing their founders’ heritage and history. It added to the overall ambiance of the brand. No one did this better then AB. By the mid 1900’s, a number of regionals had been established, and many of these brands used names that were regional, tying the brand locally to build an emotional connection. Lone Star and Pearl beer in Texas; Rainer and Olympia in Washington; tying them into the mountains. And others like: Jax and Dixie in New Orleans playing on that heritage; and Grainbelt in the mid-west. There are many other examples of both breweries and brands, now long gone. The early craft beers also followed this line of naming their brands. It started with Boston Brewing naming it’s flagship: Sam Adams Boston Lager; then breweries like Sierra Nevada and Alaska were named after mountains and states. Their brands reflected these names too, such as Anchor Steam, Sierra Nevada Pale Ale, and Alaskan Smoked Porter. In recent years the names of these new breweries have come from all sorts of places and directions. Some have a solid strategy behind the name. One brewer in Dallas, named the brewery after himself, similar to what the Germans do, with the thought that any reference to a Dallas name, such as a street or area, would have a negative impact on future sales in Austin. In the meantime, any beer from Austin has a positive image in Dallas so it works both ways. Recently, a former collegue who had been with Gambrinus, stated that he found that the six-pack carrier needed to be specific on identifying the liquid. He found a number of people did not know what IPA stood for, but when it was spelled out, India Pale Ale, then they bought the six-pack. The carton has to tell a story as consumers are spending more time in the beer section then any other department in grocery chains. Street names and area codes seem to be the current rage in naming brands, like 312 or 512. In fact, ABI has licensed a number of area codes for potential brands. Just like the new Shiner seasonal named after the highway through town, FM 966 Farmhouse Ale. Now doesn’t that just tell you all about the brand? When the Houston Astrodome first opened it quickly became the largest on premise keg account in Texas. It was the home field for both the Astros and the Oilers, and numerous special events including concerts, motorcycle races, bowl games, etc. When I was at Lone Star Brewing, the month sales number for the Astrodome was around 600 1/2bbls. Since Jerry Jones bought the Cowboys, Miller Lite has been the official beer of Texas Stadium and now, Cowboy Stadium. With Miller Lite signage everywhere, it’s almost impossible to find any other brand in the stadium. In fact, at the Super Bowl a couple of years ago, the Miller Lite order for the game was 26,000 cases. It was the last game in which Coors Light was the official beer of the NFL. Coors had a hospitality tent outside of the stadium where they entertained and served their beer, but that was about the only presence the brand had at the stadium. While beer has long been available in the professional sporting world, it is just now heading into the college stadiums. There are about 13 division l schools that sell beer in their stadiums. Universities are always looking for a new revenue stream, and beer is one which can easily be added. At the University of West Virginia, $550,000 in beer sales was added to their bottom line during their last year in the Big East Conference. The University of Texas, on the other hand, doesn’t sell beer, and $500,000 dollars in a budget which brings in $103+ million seems small. The UT stadium, however, is two and a half times larger than the WVU stadium. The math is easy. On the other hand, at the University of Minnesota, sales of wine and beer were $900,000 last year and after deducting for expenses, UM lost $15,000. Officials tout the loss to an over-staffing issue, but only time will tell. 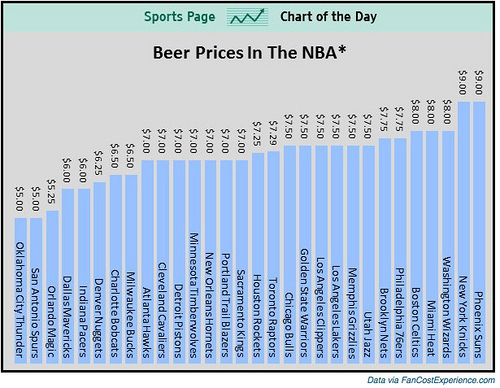 The pressure on college athletics to drive revenue dictates that beer sales will eventually happen in these football and basketball stadiums. The question is, how, or will, the crafts be able to participate in this venue, which will provide a great opportunity to get brands sampled and exposed. The alumni center at the University of Texas is across the street from the stadium and does serve beer on game days. You can buy, Coors Light, Bud Light, Miller Lite, and Shiner Bock. Beer is also available in the stadium, but only in the private suites. Austin is currently a hot bed of crafts, new and established brands. Local bars and restaurants do what they can to support these products. And the locals love their craft beers. Given that the University of Texas will soon sell beer in the stadium, will any of these local crafts be in the mix? Like the Cowboys and the Texans, the brand rights will be up for bid, with the winner getting signage and priority placements all over the stadium. At best, fans might find their local brands offered at a small corner bar, but not in the stadium. You’ll be able to tailgate drinking Fireman 4, while buying Bud Light inside. What they don’t teach you at Harvard! While attending college, I worked on the Coors trucks during the summer. The training I received was all OJT. It was not until I worked for the Schlitz operation in Louisiana, that I got my first formal beer training, Haire University in Milwaukee. The training we received was more hands on with draft. We spent two days understanding various draft systems, cleaning the equipment and learning how to solve pouring problems. Remember, these were the days of simple direct draw systems and it was rare to find a remote or forced system. Coors also didn’t have much invested in training in those days, but they did have a program which enabled employees to handle brewery visits. This was a big event for salesmen, enabling them the opportunity to tour the brewery, observe how Coors was produced and packaged, all while being entertained by the brewery personnel. The brewery allowed employees to reside at the old Pig and Whistle Hotel and Bar, an establishment famous for their steak dinners. When the employee left the training session, they might not have learned how to sell, but they definitely had experienced a great time. When I joined the brewery after selling my interest in my distributorship, the only training I got was a day of learning the brewery policies and history. I did have the opportunity later that year, however, to attend and participate in Distributor Economics II. This was an advanced course on how to run a beer operation. The training established a team of several field sales people and gave each team a case study on a beer operation that was losing money. The study was three days in length, each day representing a year of operations. At the end of each day, the teams presented to the class the actions they took to “right” the operation. The goal, of course, was to ensure the beer distributorship became profitable by the end of the week. Interestingly, the facilitator of the class had never owned or run an independent beer operation. The case studies were on actual distributorships, unnamed, in which the brewery had to step in and save the operation. The case study was more theory than reality, however, it was a good exercise, especially for young sales people. Many of us have had visits from young regional managers from major suppliers who have grandiose ideas on how to improve the distributors’ effectiveness. Usually, these young managers have gone to their companies six – eight week training course and suddenly, they have become experts on running a distributorship. Likewise, the same is true of the craft breweries that I have visited with over the years. They make good beer, but have no idea how to go to market. Just last week, Portland State University announced a online certificate program entitled “The Business of Craft Brewing” from the Professional Development Center. While there are a number of colleges that offer courses on brewing, PSU goes deeper into the subject offering such classes as Basic Business for Craft Beverages, Craft Business Management, Strategic Craft Beverage Marketing and Finance and Accounting for Craft. This certificate program could eventually turn into a degree offering from PSU. If the program uses adjunct professors with extensive experience in the beer business, the students will be fortunate to have real world teaching. That said, I bet this degree program is not yet offered at Harvard! As a young District Sales Manager for Lone Star Brewing Co., my district included West Texas with many miles to cover and a multitude of distributors on whom to call. One was a medium size Miller/Lone Star/Pearl whose owner was in college at the same university, at the same time as I. During my visits to this west Texas town, he and I became friends, hunted and played golf. One night, while barbecuing, this friend brought up his desire to purchase a small distributor about 10 miles from his home market. He told me he would pay ten thousand dollars for it (they only sold about a pallet a month, a very tiny operation) and he did not care to whom he paid the money. That statement caught me a little off guard and it did not sit well with me. When Coors was only available in the western states, their draft policy was to not split handles. It was either exclusively Coors, or no Coors draft. At the same time in Louisiana, it was legal to sell draft boxes to on premise accounts. The account would pay five dollars extra per keg until the box was paid off. Again, for the distributor, it was an exclusive account. Exclusive accounts were almost always driven by market share. At the time, I was in Kansas with a 60%+ share of market, AB and Schlitz each had less than 10 draft accounts. 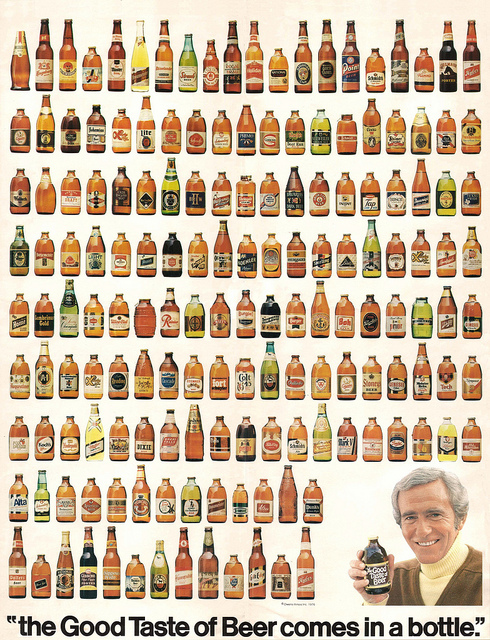 As Coors entered new states and markets they had to change their policy of exclusivity. The pressure to obtain and maintain draft handles grew to the point that many retailers leveraged that pressure to their advantage. Free kegs, glassware, discounts, p-o-s, and even furniture (including the dispensing boxes) were some of the many requests certain retailers added to the product on tap. Menu prints, credit card charges, in store media sponsorships, then on to third party funding stepping outside of traditional channels all have been, and are still used. Franchise laws today not only protect the distributor from termination, but such laws have also allowed distributors to divorce themselves from under-the-table payments to retail since the inception of consolidation at the middle tier. Now there may only be two (three) distributors in the market with all the brands. Therefore, all the pressure to obtain taps falls squarely on the shoulders of the vendor. Field sales teams are usually bonuses on market performance. I know one vendor who requires all field people to sell in two new accounts each week! The pressure on these people (mostly young) to make numbers could easily result in questionable practices. Today’s crafts face similar problems; consider the revolving handles. When we introduced Krombacher in DFW we ran (with the distributor’s participation) kick off draft incentive and achieved a number of key accounts. Within six weeks, Krombacher was no longer in many of those places, served only as the beer of the month on the revolving handles. It cost both of us quite a bit of budget money. Now, was it good for the brand exposure? The next quarter sales indicated it wasn’t.